When it comes to creating your own custom receipt and make invoice sample, free online receipt generators are the best way to do so. The online receipt generators allow you to generate your own receipt directly within your browser. The process of creating your own custom receipt is very straightforward and easy, all you have to do is just visit the website, enter the various details in required fields and generate online for free. Whether you have lost your taxi receipt, gas receipt, restaurant receipt or any other kind of custom receipt – you don’t primarily need to worry as there are many free online receipt generators where you may generate your customs receipt or invoice sample without the need of any download or software installs. Even you don’t need to pay any money. But selecting best online receipt generator is tough. So to help you select perfect online receipt generator for you, I have compiled a list of top 10 free online receipt generator and invoice makers, that would be very helpful for you in creating custom receipts online. If you don’t have much time and skills to create your own custom receipts, you may easily make your own invoice using free online tools like receipt generator websites. Though there may be various types of receipts like receipts related financial transactions, receipts related to buying and selling also termed as invoice and receipts related to housing rent, taxi rent, related to household items like gas receipts, electricity or telephone bills and various other receipts, which you may wish to create your own. So the below listed free websites will help you make your own custom invoice for free. So let’s see these top free receipt generators online. 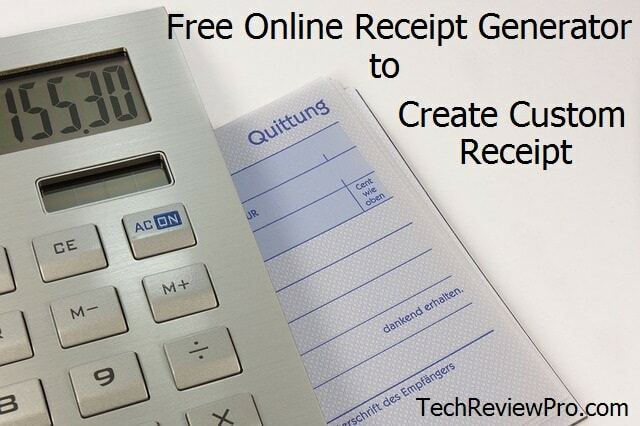 One of the most simple but useful online tools to create custom receipts online is – Custom Receipts Maker. You may easily customize your receipt by entering various details in the required fields and finally pressing “Make the Receipt” will generate your custom invoice receipt within few seconds. Next to come to this list is – Online Receipt Maker. Online Receipt Maker is another powerful free tool that helps you to create sales or tax related receipts and invoice easily. If you need to make a quick receipt but don’t have your receipt book or computer receipt maker handy, this easy to use online receipt maker is for you. 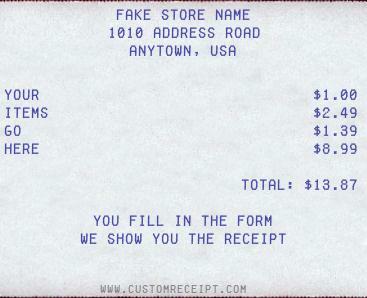 FakeReceipt.us is another useful web-based app or free tool that helps you create free online receipts quickly. Whether you are looking to create sales receipts, custom receipts or fake invoice – FakeReceipt.us is for you. In fact creating free receipt had never been so easier. The free fake online receipt maker allows you to create free custom receipts easily for your customers without any expenses. If you want to prank your friends by creating fake ATM transactions receipts, then Frabz has a very powerful and free tool for you. 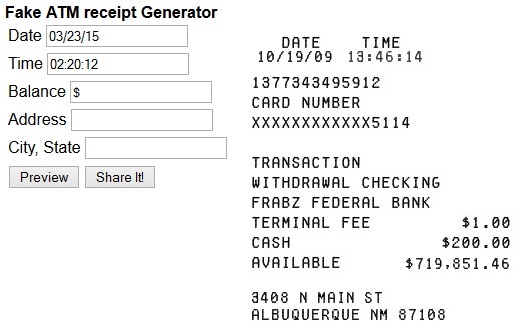 Yes, I’m talking about Fake ATM Receipt generator that lets you create fake ATM receipts. Just enter the amount and city, state, etc. necessary details and generate fake ATM transaction receipts for free. Next is – Free Invoice Generator that lets you create a great and professional invoice receipt for free. 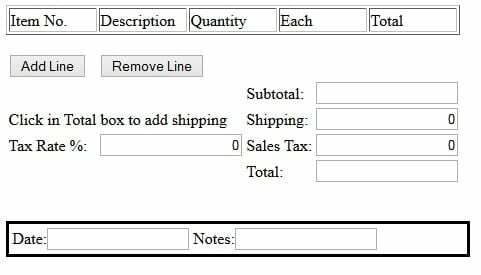 Creating a custom receipt online with free invoice generator is easy as you don’t have to be skilled enough to generate custom receipts. All you have to do is – just enter the necessary details like your company name, logo, client name, invoice number, etc. and complete the process. You may also download the invoice or send the invoice via email. Redo Receipt is another useful online tool to create custom receipts online for free. It helps you replace lost, stolen or forgotten receipts by setting up a similar new receipt quickly. There are various sample receipt texts to choose from which you may choose your desired receipt for example just click on fast food or movie rental and the template texts will automatically place in the box. Lost Hotel Receipt is a part of Redo Receipt, but it is primarily a dedicated web app for creating Hotel receipts. If you have a hotel or restaurants and you need to create custom receipt to serve your customers as invoice, then Lost Hotel Receipt is a perfect option for you. All you have to do is just fill the various fields and click ‘Save.’ That’s it. 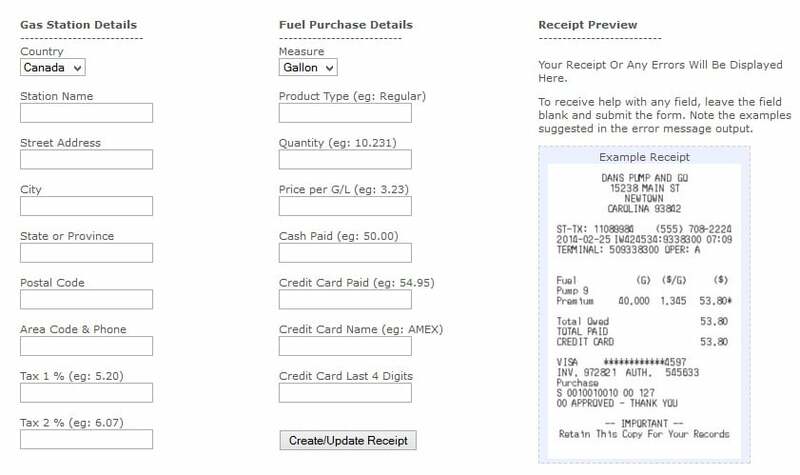 Make Receipts is another useful tool for creating Gas Receipts for Canadian people. The most popularly known free online gas receipt creator generator for Canada is a perfect tool to create the Gas receipt for USA people also. If you most often forget to get a receipt for your gas or forgot where you put that receipt, then Make Receipts is there to help you in making free receipts online. FastDue is a very powerful all-round free online tool to move your business online. They offer many useful solutions for your business. You may easily create a free invoice and send it online. There are also few other free tools like creating free past due notice, expense pre-approval notice, expense reimbursement, etc. 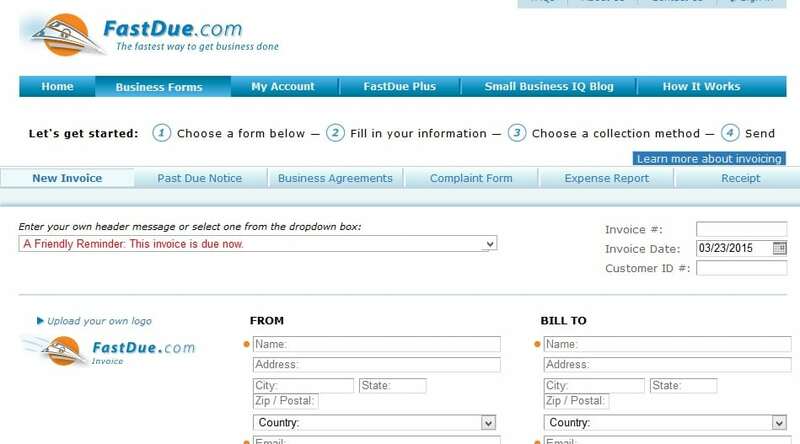 If you are looking for the fastest way to create free invoice online and send it quickly, then FastDue is perfect free online receipt generator for you. The free online receipt generator tools or invoice makers are the excellent way to replace your lost or stolen invoice as they provide you blank invoice or receipts in which you have to enter raw data and get your receipt created quickly. 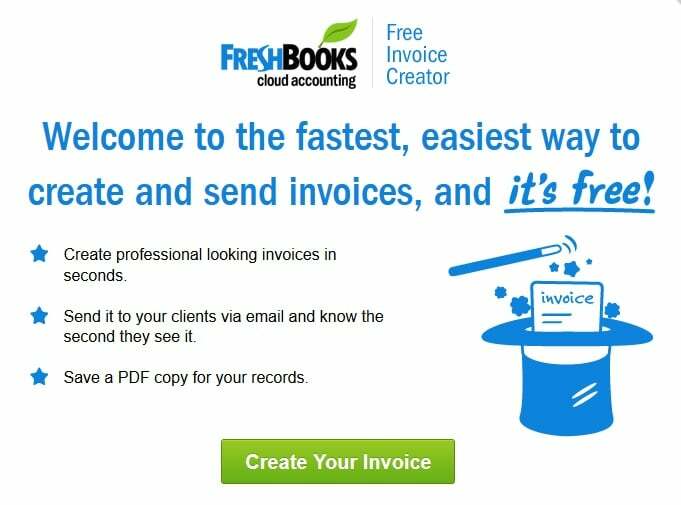 You may also visit these free invoice maker websites and create a fake invoice to prank your friends and have fun! Do you use free invoice maker tools to generate receipts? Share your views in comment box below. Also, do let me know if I missed any of the free online receipt generator tools. Great list. If you need something more – check out ExpressExpense for a wide variety of receipt templates.